Rath Yatra – the festival of Chariots of Lord Jagannatha at Puri will be held on 14th July (Saturday). 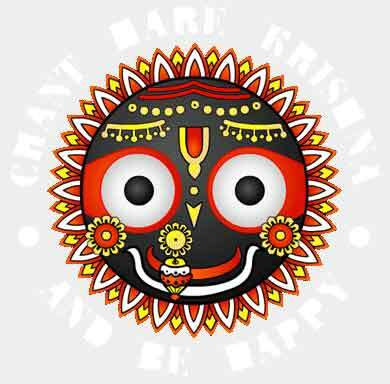 The online streaming of Rath Yatra, you’re going to watch here is from the webcast by NIC. They are providing it from Doordarshan telecast link. The live feed comes from Puri Bada Danda with DD Camera. Rath Yatra is not only celebrated in India, but also in other countries like USA, England, Russia and cities like Newyork (NYC), Houston, Baltimore, Dublin, Belfast, Birmingham, London, Budapest, Melbourne, Montreal, Paris, Singapore, Toronto, Antwerp, Kuala Lumpur and Venice, CA. Other than Rath Jatra in Puri, Baripada Rath Yatra and ISKCON Rath Yatra are also celebrated among Oriya and Krishana Devotees. Because, Sri Jagannath is regarded as one of the avatar of Lord Krishna. In Bangalore, the Car Festival also celebrated at Agara Jagannath Temple with the grand presence of Odias present there. The festival is also known as Gundicha Jatra, Ghosa Jatra, Navadina Jatra, Dasavatara Jatra and by a variety of other names. In English, people termed it as Car Festival. Ratha yatra – the Festival of Chariot is celebrated every year at Puri, the temple town in Orissa, on the second (dwitiya) day of shukla pakshya (waxing cycle of moon) of Ashadh Maas (3rd month in Lunar Calendar). To watch Rath Yatra Live Telecast Puri 2018 or Rath Yatra Live Streaming Online on OTV, Click here. So fortunate, Live View being in USA…Awesome. Thanks a bunch IncredibleOrissa. Good job..Keep it up. NABAKALEBARA JAGANNATHA SWAMI NAYANA PATHAGAMI BHABATU MEIN. जगन्नाथ स्वामी नयन पथगामी भवतुमे ! !